NEW YORK -- Americans trimmed their overall indebtedness in the latest quarter, continuing a nearly five-year trend as mortgage balances fell further, data released Wednesday from the Federal Reserve Bank of New York showed. 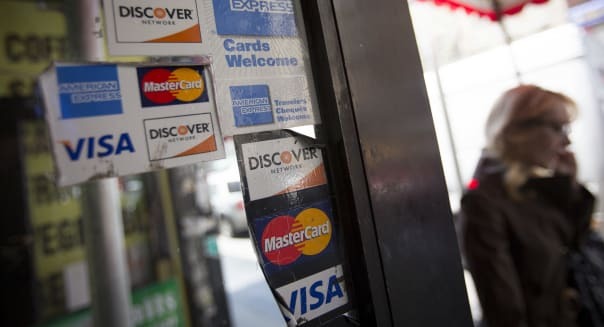 Total consumer debt stood at $11.15 trillion in the second quarter, down 0.7 percent from the previous quarter, the New York Fed said in its quarterly household debt and credit report. While U.S. student debt and auto loans rose, the country's post-recession debt-reduction cycle appeared intact as household delinquency rates dropped to 7.6 percent in the three months to June, from 8.1 percent in the first quarter of the year. Americans have consistently reduced debt in the years since the housing collapse and financial crisis, and credit is now well below the peak of $12.68 trillion in the third quarter of 2008. The Fed bank acknowledged the overall trend but highlighted a $20-billion jump in auto loan balances, the ninth straight quarterly rise, reflecting a rebound in a key sector of the U.S. economy. Loan originations in this area reached $92 billion, the highest level since 2007. "Although overall debt declined in the second quarter, households did increase non-housing debt, led by rising auto loan balances," Andrew Haughwout, a New York Fed research economist, said in a statement. "Households improved their overall delinquency rates for the seventh straight quarter, an encouraging sign going forward." Reflecting another U.S. trend, student debt rose again with outstanding balances up $8 billion to $994 billion in the second quarter. Still, student loan delinquency rates improved with 10.9 percent of loans behind by 90 days or more, down from 11.2 percent in the first quarter. The report also showed outstanding mortgage balances fell by $91 billion to $7.84 trillion, while 1.5 percent of existing mortgages fell into delinquency. Mortgages are by far the largest segment of consumer debt. Meanwhile, lenders made more mortgages with originations rising to $589 billion. Elsewhere, credit card balances edged up by $8 billion, while the number of credit account inquiries over six months -- an indicator of consumer credit demand -- was roughly flat at 159 million.